CBA’s Dollarmites program has won world-wide acclaim for youth financial inclusion. The program has been so successful in fact that the bank attests that 20% of their savings volume is “youth related”. Nice job! As the program moves into the 21st century the bank has recently released its companion app; The CommBank Youth App. The targeting looks very similar to Moroku’s Chore Scout, a white label app for banks that want to acquire their next generation of customer, so we thought we’d run a compare and contrast, a for real Clash of Clans. 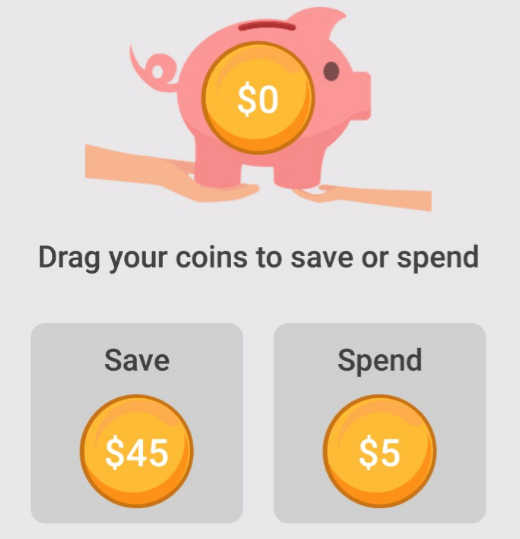 Both apps purport to help parents start helping their children make earning, saving and responsible spending decisions. They also both do this based on the paradigm of setting goals, doing chores, getting paid and then using the money to save towards their goals. Finally they say that they do this in a fun, easy to use way. Sound like a bake off? Lets do this! Given the purpose of the app we’ve created 6 key categories and set the apps up. This is a very difficult segment to build for. One of the first questions we get asked during our discussions is “What age group do you think will use the app?” We think the answer is 6 to 16 and take our design direction accordingly. When we watch players in this group use digital devices they are almost entirely game based and highly tactile. The question above from CBA assumes a high degree of financial insight. 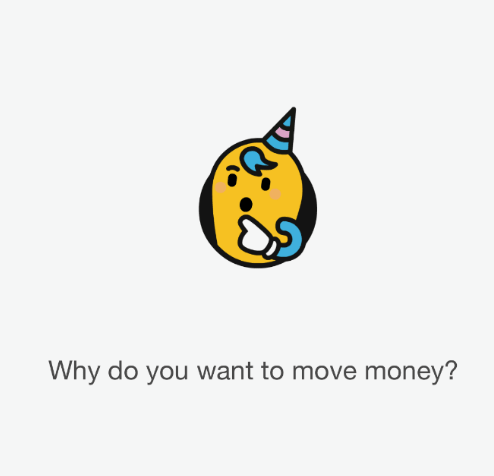 “Why do you want to move money?” that’s a heck of a question to ask an eight year old! To then offer answers of save money or spend money would appear to be equally daunting. In Chore Scout there are no questions. The application simple places a pile of coins for the child to engage with. In of itself that is fun. As the child does this repeatedly they begin to connect the physical movement of money to the outcome, wiring the behavior viscerally. 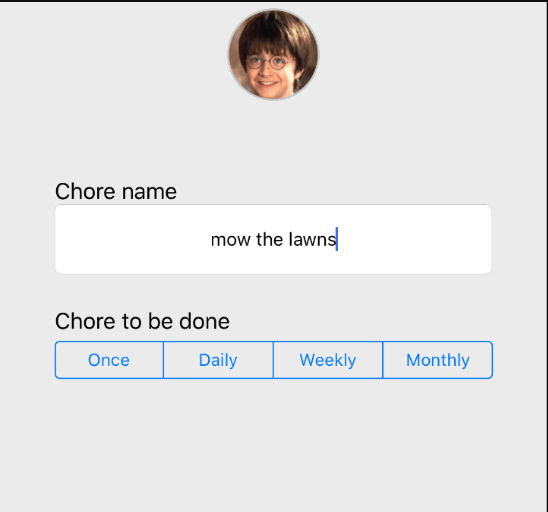 The two applications have a very different approach to chore setting. 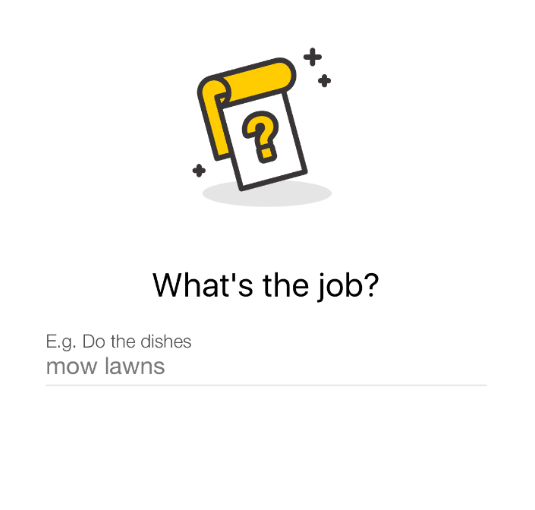 The CBA Youth app asks the child what chores they would like to do. Really? “I want that child!” I want the child that walks around the home looking for things to do, things they can help Mum and Dad with. Not only does the child set the chore, but they get to determine when its done or not. Hang about! Is that a chicken or a fox in charge of that there henhouse?!! Maybe over time as they understand the fundamentals of value exchange but off the bat, that seems like a big ask. Chore Scout flips it to what seems more normal. Mum and Dad set the chores, once, daily, weekly or monthly. The child then completes the task, uploading evidence thereof and asks mum or dad to approve. We think that not only approaches reality more closely but also has a lot more integrity associated with it. Something that is core to banking, integrity that is. On the surface, there’s very little to differentiate the apps in this dimension. 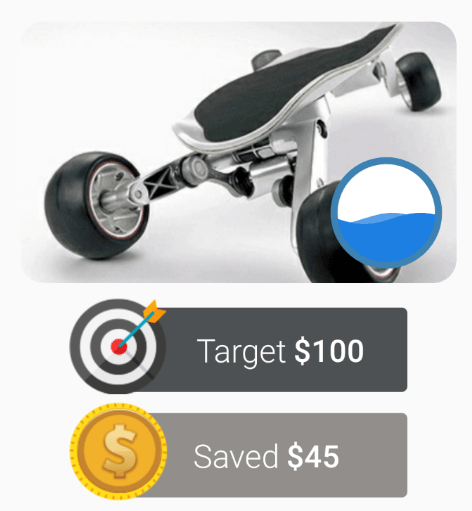 Both apps take the child through a goal setting process, asking them to set a goal, define an amount and then give them the option to provide or take a picture of the goal. Standard stuff in the world of right now. Both apps also provide a visual as well as numerical indication of progression. Neck and neck. Where they do differ is in the number of active goals and savings prompts. CBAYT allows the child to have multiple goals whereas MCS only allows one goal at a time. 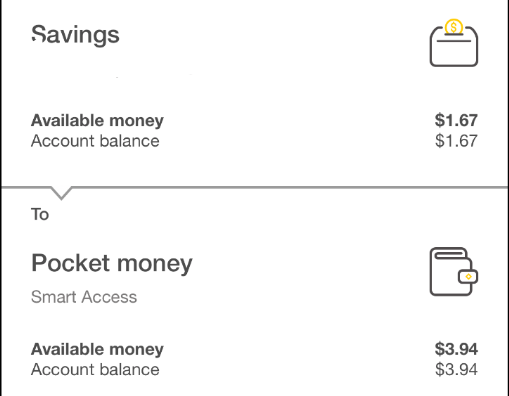 Where we think MCS pulls ahead is in savings prompts. In CBAYT there are no game triggers for saving. The player under some external volition makes a determination to “move” money. In MCS the parent sets the allowance, weekly or monthly and on these timings or at others, say for exceptional behaviour, birthdays and so on, send the money to the child app. On arrival the child is prompted with a notification that it is pay day and then drags the coins as above into savings and spending. This later approach is a key design principle of game design: determining what winning is, the challenges to overcome, skills to be gained and a journey with prompts to get there and engage. We all love games. By using game design as a core principle, we are forced to think about fun and journeys. When we just use agile, none of this is in play. Exchange of Value is a core component of financial literacy. As we digitise money we lose connection with it and without a tangible sense for the value for money, we lose our financial sense. This is made worse by apps, such as mobile video games, that are designed to help children spend faster. This scenario demands a new generation of financial literacy to be embedded into children’s banking services to help them stay connected to value. CBAYA only allows the children to determine what work is done and when it is complete. 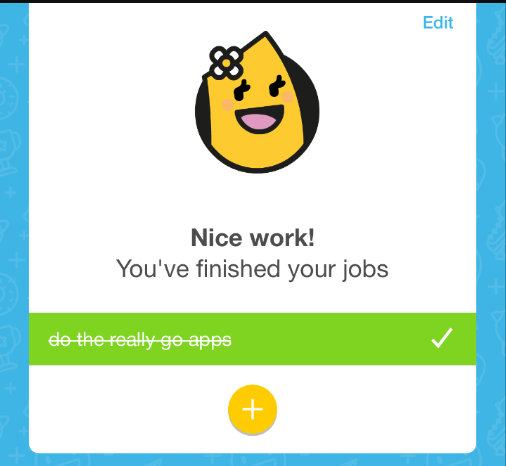 The app provides no connection between the work done and the value received. There is no value exchange in CBAYA. Because the parent and the child are engaged in MCS, with parents allocating chores, children doing them and then them both having a conversation about the value exchange, i.e. work done, allowance paid, MCS plays to its core purpose of building financial literacy by helping children understand the value of money, where this is completely absent in CBAYA. There is almost no parent engagement in CBAYA. 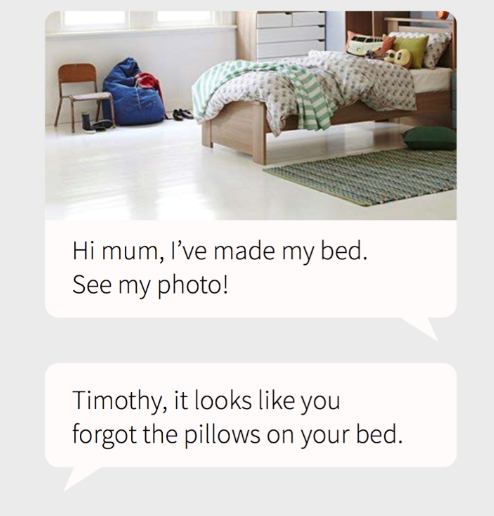 At best the child can send mum and dad a picture of their chore list. 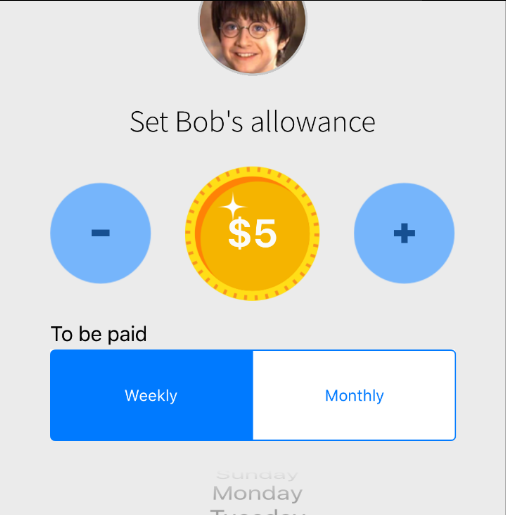 The app is built as a youth banking app, allowing the player, target age 14, to download the app, use their mobile banking credentials to login, begin setting goals , chores and moving money around. This seems too old for the young ones and too young for the old ones, Jack of all trades, master of none. 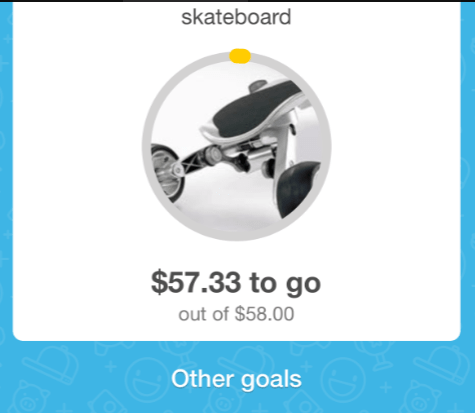 In MCS the app is built around a conversation. Mum or Dad download the Guardian app, login using their credentials, begin adding children, determine where the money comes from, goes to, allowance value, chores issued and chores done. CBA’s own research says that almost half of Aussie parents say it is difficult to teach their kids about digital money or digital transactions and believe technology would make it easier to track savings goals online. Whilst MCS allows parents to do just this, it can’t be done in CBAYA. The two apps again have very different paradigms with regards security and account access. CBAYA is what it says – an app for youth. They download the app, get their own banking credentials, login and get to work, moving money around. MCS is two apps, one for the parent and one for the children. 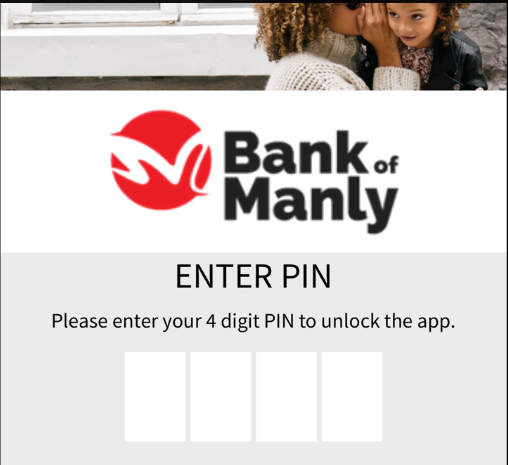 Mum and dad login and link their children’s accounts to their children apps. The children are not required to login as they don’t have any account access. They just do chores and get asked where the money is to go – their savings account or to get cashed out. There is no right and wrong necessarily it just depends on what you’re trying to achieve and how. On the one hand the CBA app gives a friendlier app than the bog standard mobile banking app and in that regard it is a success. MCS is premised on engaging a conversation around money, value and saving. Quite different horses, running different courses. Summary – So where do we think they both stack up? Both MVP solutions have opportunities for improvement, but out the gate, our initial analysis says ChoreScout leads at launch.